In my husband’s spare time, he loves to fish. Here in Tennessee, there are lots of bass, blue gill, crappie and catfish and my favorite is crappie. We’ve had some friends come over for a fish fry and one of my close friends started making tartar sauce. I had no clue that it could be made from things in the fridge that we all tend to keep on hand. 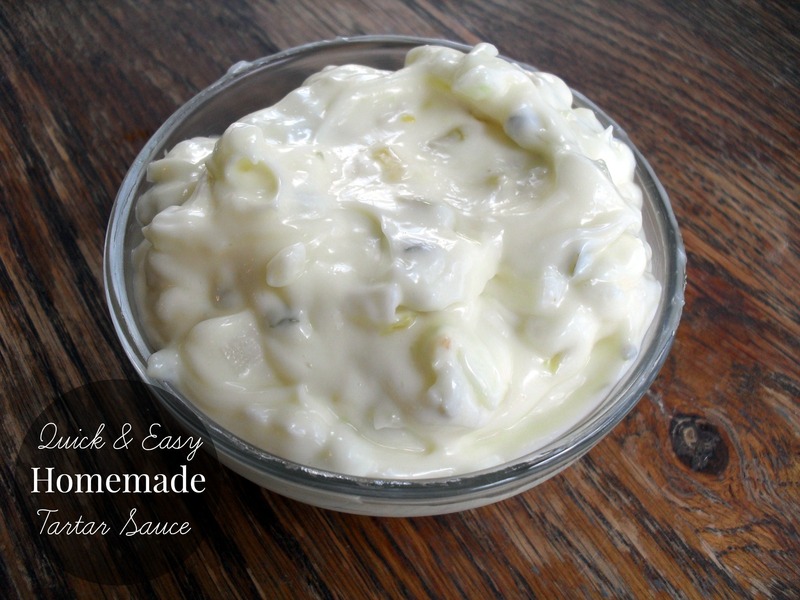 In a small bowl, mix together mayonnaise, sweet pickle relish, and minced onion. Stir in lemon juice. Season to taste with salt and pepper. Refrigerate for at least 1 hour before serving.